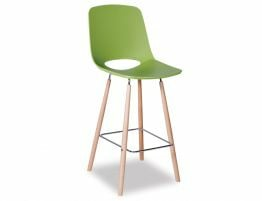 Spanish design duo Enrique Del Amo and Angel Marti are celebrated for their chic, unpretentious artful modern designs and the Wasowsky green cafe chair is another feather in their hat. 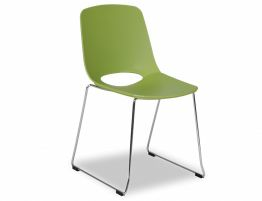 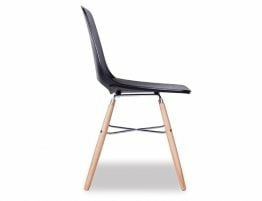 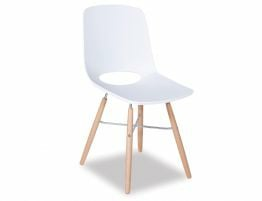 This green dining chair offers an understated contemporary look that works beautifully if you are looking for green modern kitchen chairs or a green café chair for restaurant or other commercial furniture needs. 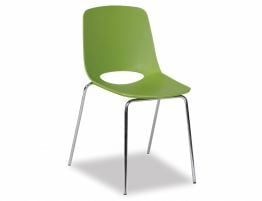 With a smooth polymer seat shell and strong, stable steel post legs in your choice of chrome finish or a factory powder coat paint finish in black or white, this green modern kitchen chair offers a fresh updated dining chair for your modern spaces. 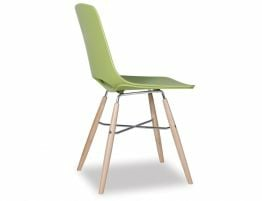 Update your kitchen chairs, replace your dated café chairs with this clever design that mixes the best of on-trend styling with materials built to last. 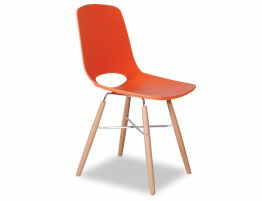 We love the Wasowsky dining chairs and invite you to shop the whole collection for an array of colours and base styles that should make it easy to find just the right chair for you.